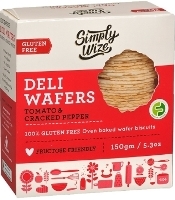 A modern brand that will win your taste buds over from the first bite with our great tasting gluten free products. 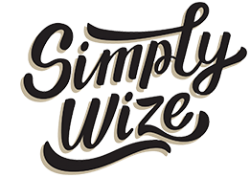 At Simply Wize, we believe that gluten free foods should taste like the conventional product. We bring you the most delectable, gluten free food, from across the four corners of the earth. 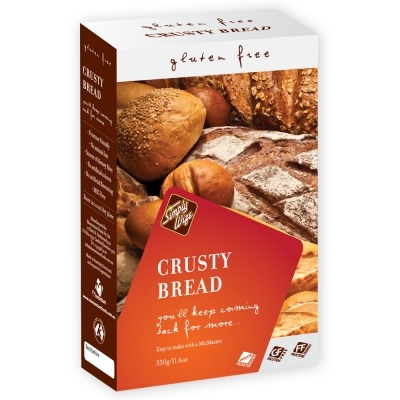 Our products include Potato Pastries, Puff Pastry Sheets, Spring Rolls (Regular and Thai Style), Frozen Pizza Bases, Corn Crunch snacks (various flavour varieties), Gnocchi (Regular, Spinach and Pumpkin), Choc'O Biscuits, Crispbread (Almond, and Cranberry & Pistachio), Deli Wafers (Cheese, Poppy Seed & Sea Salt, and Tomato & Cracked Pepper), Crusty Bread premix, Christmas Pudding, and Pasta Sauce (Basilico, Napolitana and Primavera).